Intel and wearables. Two names that you best get used to seeing together, as the aforementioned company is diving into the wearables sector in a major way. As part of the broader Android Wear rollout announced this week, Intel has made a point to emphasize its role in the coming explosion of wearables. The company has stated that it’s “excited to be a part of Android Wear,” which will bring a fork of Android to an entire sector that’s poised for huge growth in the years ahead. Intel isn’t revealing any products just yet, but it — along with Broadcom, Mediatek, and Qualcomm — are going to be powering some of the products that you see emerge over the next while. Watches, head-worn devices, and items we haven’t yet conceived are likely going to be running atop of Google’s Android Wear platform, and Intel hopes to be the circuitry behind some of it. As desktop and laptop sales slow, Intel has a very real need to replace that revenue with new streams. Breaking into the tablet, phone, and wearable sectors makes complete sense, but it remains to be seen what kind of margins exist for wearables. At any rate, it’s great to see a name like Intel pushing the sector as a whole forward. For any serious innovation to occur, we’re going to need broad, industry-wide recognition of a movement. 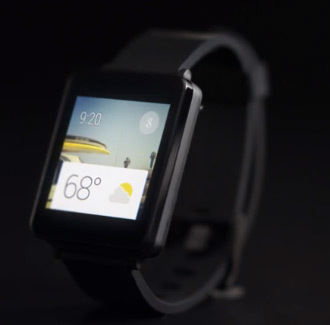 With wearables, we’re certainly seeing it.